The Hertz Corporation, a subsidiary of Hertz Global Holdings, Inc., operates the Hertz, Dollar and Thrifty vehicle rental brands in approximately 9,700 corporate and franchisee locations across the globe. The Hertz Corporation is one of the largest worldwide airport general use vehicle rental companies, and the Hertz brand is one of the most recognized in the world. Product and service initiatives such as Hertz Gold Plus Rewards, Carfirmations, Mobile Wi-Fi and unique vehicles offered through the Adrenaline, Dream, Green and Prestige Collections set Hertz apart from the competition. The company’s U.S. revenue grew at an annualized rate of 2.7% to $6.2 billion over the past five years. All franchisees need to devote a significant amount of time, energy, and effort to developing, conducting, maintaining, and operating a Hertz franchise. A franchisee needs to serve as or employ a manager who must complete the required training and have sufficient vehicle rental business experience. Hertz franchisees are required to attend a 3 to 6-week new car rental franchisee onboarding training session that includes training sessions at Hertz headquarters in Park Ridge, NJ, a Hertz zone office, online, and webinar training. Joorney Business Plans has extensive experience in creating personnel plans and matching each employee’s experience, skills, and training with the designated positions within the franchise business. 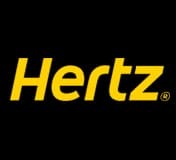 In order to maintain a strong, globally recognized brand, Hertz invests in a wide range of marketing and advertising strategies including radio, TV, print ads, coupons, flyers, airport displays, corporate accounts, business account programs, tour business, government sales, travel agents, airline partners, hotel partners, frequent renter program, and third-party website partnerships. Joorney Business Plan writers develop marketing and advertising strategies and budgets that are in line with the Hertz franchise agreement. As car rental is a capital-intensive business, franchisees should have a net worth of $500,000 or higher and liquid capital of $150,000 or higher. These requirements depend on the franchise location, size of the market, the size of the rental fleet, and the number of locations. The initial investment for starting a Hertz rental business ranges from $564,300 to $12,494,000. Joorney Business Plans experts have experience in developing detailed long-term financial projections for Hertz franchisee businesses. As Hertz franchisees do not receive an exclusive territory, they may face competition from other franchisees, from outlets owned by the franchisor, or from brands controlled by the franchisor. However, franchisees are granted a non-exclusive, geographic area of responsibility in which they can operate the Hertz business. The area of responsibility varies from franchisee to franchisee and is identified by the name of a city or other political subdivision. Joorney Business Plan writers make an extensive local market analysis, helping franchisees estimate their growth potential in a given territory. Hertz is the world’s largest airport general use car rental brand and is the number one airport car rental brand in the U.S. It presents a great opportunity for a franchise as it provides a leadership position, continuous innovation, and a global network. Hertz franchisees obtain vehicles from a variety of sources including local dealerships, auto auctions, auto wholesalers, local dealers, fleet leasing companies, Hertz fleet remarketing department, and by taking advantage of select Hertz programs with original equipment manufacturers.